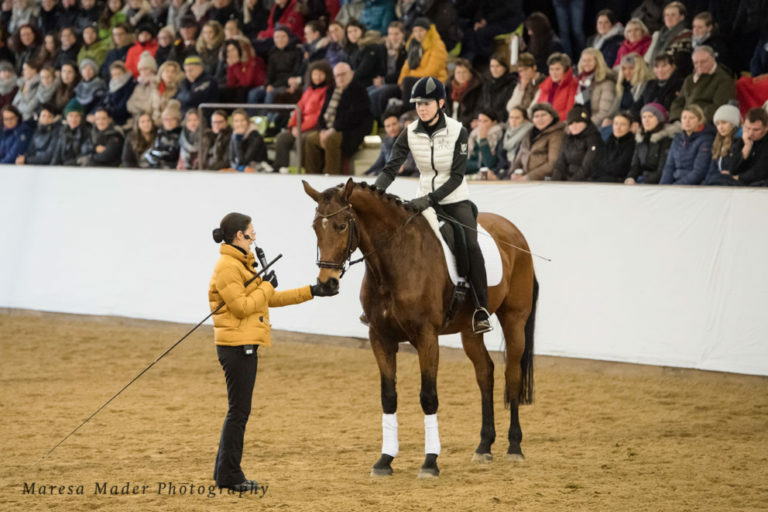 For the second time Anja Beran followed the invitation of Landoberstallmeisterin Dr. med. 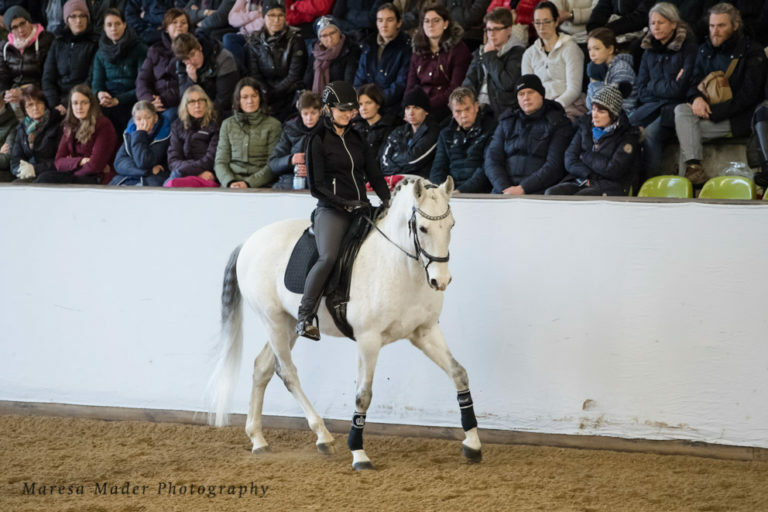 Astrid von Velsen-Zerweck for a seminar in the Marbach state stud. 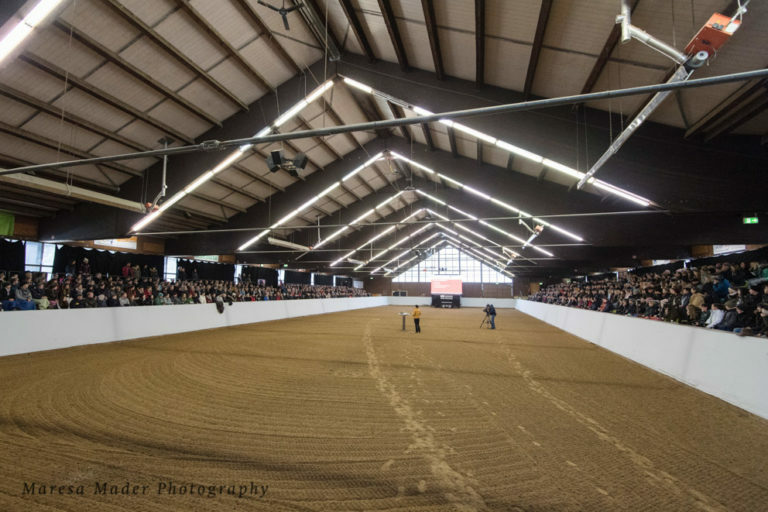 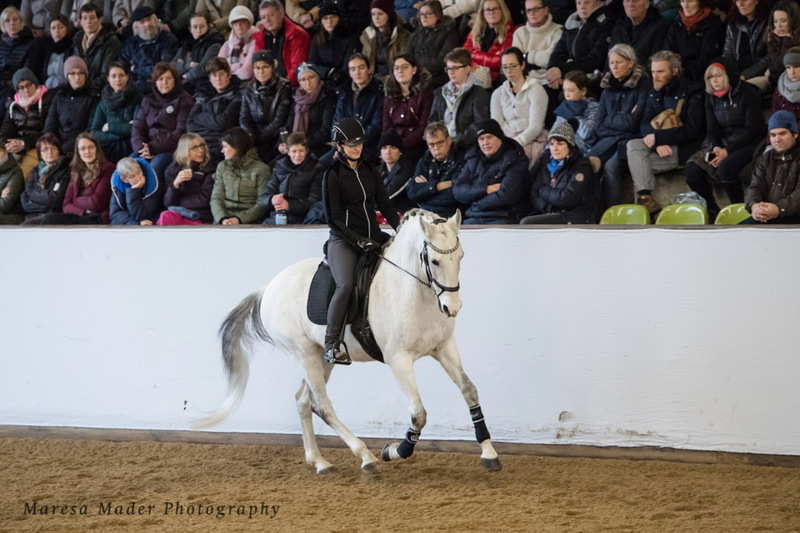 Even the adverse weather conditions of this January weekend did not stop the enthusiasm for classical dressage: 850 horse friends came to the large riding hall of the traditional stud to experience Anja Beran and her team at the seminar “Problem solving in dressage training appropriate to the requirements of the horse”. Bavarian mare Amazing Grace and Anja Beran’s first rider Vera Munderloh, as well as Lusitano-gelding Bue with trainer Steffi Seebauer were also part of the team. 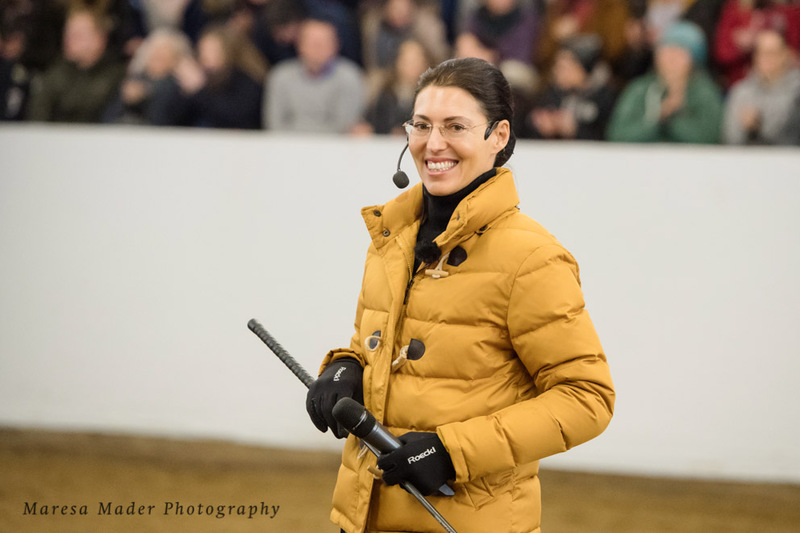 At this year’s seminar, participants benefited from Anja Beran’s 30 years of experience as a rider and instructor of horses with often major physical and mental problems – of horses overstrained by deliberately or unconsciously practiced false training methods, showing defensive responses, and suffering from signs of wear. 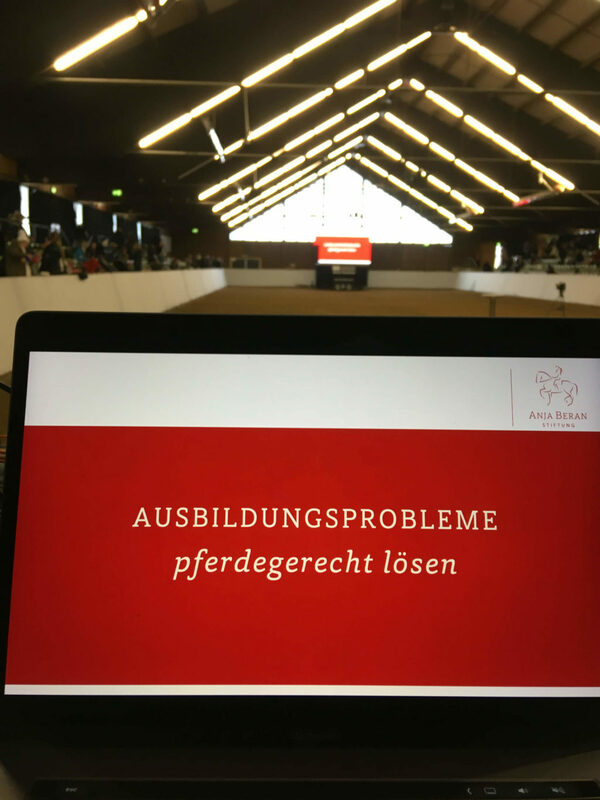 In a good one-hour theoretical lecture, Anja Beran explained clearly why difficulties in horse training can occur, how to find the cause the of the problem and how to solve these problems in the sense of classic dressage. A solid basic education and the avoidance of mistakes are the central success factors, so that problems in training don’t arise in the first place. 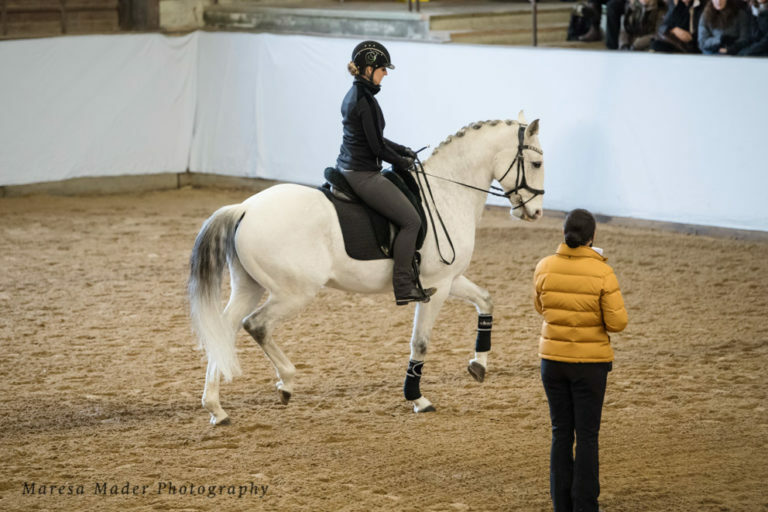 Thus, the solution of training problems always leads the rider and instructor back to the basic training. 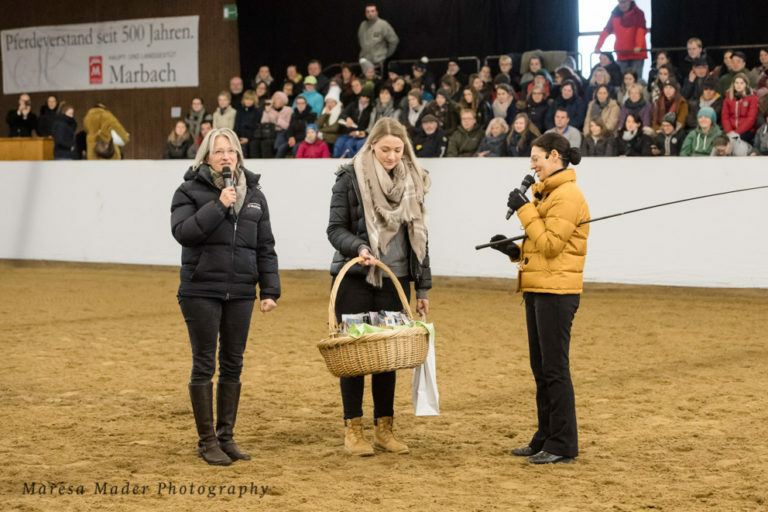 After a break with delicious potato soup and shopping in the stud shop, at the booth of kieffer dealer Reitsport Dörr from Gomadingen and Anja Beran’s Boutique Lusitania, the talk continued with a detailed practical part. 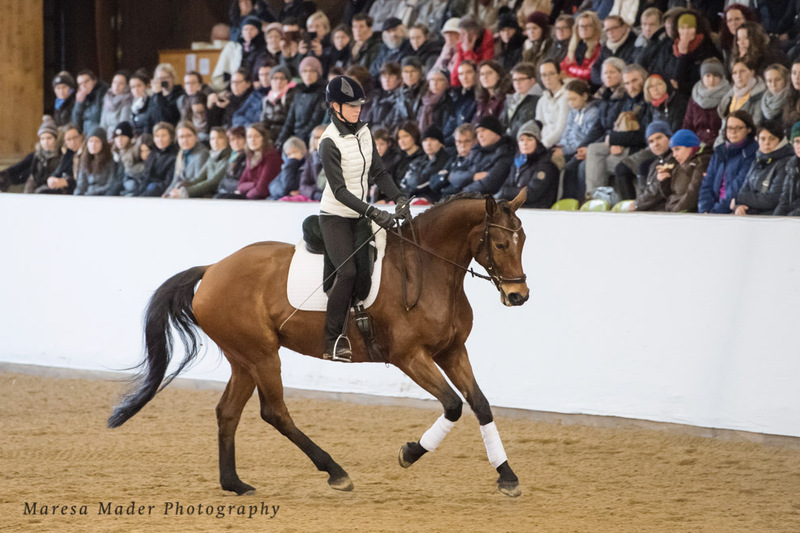 With her first rider Vera Munderloh in the saddle Anja Beran presented a highly sensitive and talented mare from the Main and State Stud Farm Schwaiganger: Amazing Grace sired by Boston. 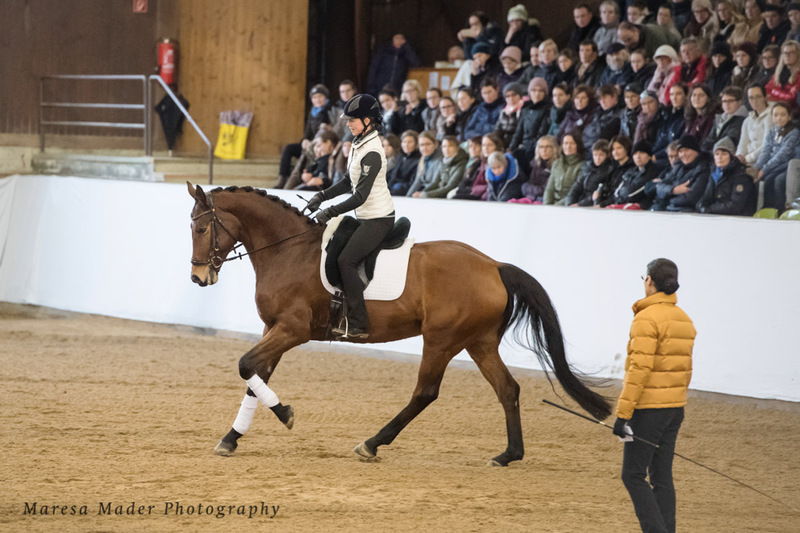 The seven-year-old mare, before she came to Anja Beran’s training stable on Gut Rosenhof, already had a lot of training problems behind her and showed dangerous resistance when ridden. 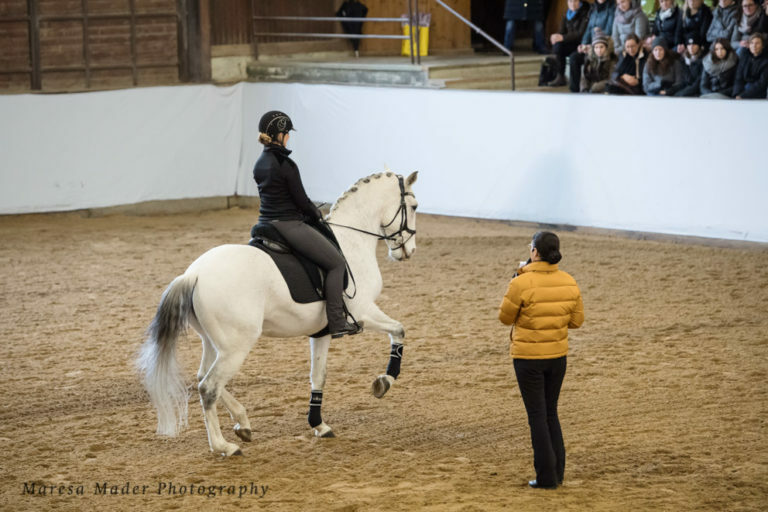 In addition, the mare was extremely scared and clinging to other horses. 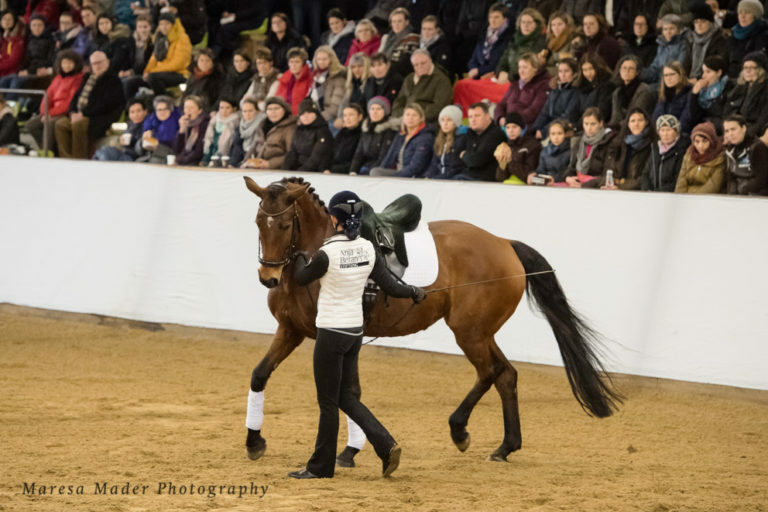 With much patience, the right posture and gymnastics, varied work the team succeeded in bringing back the very willing mare the joy of working under the rider. 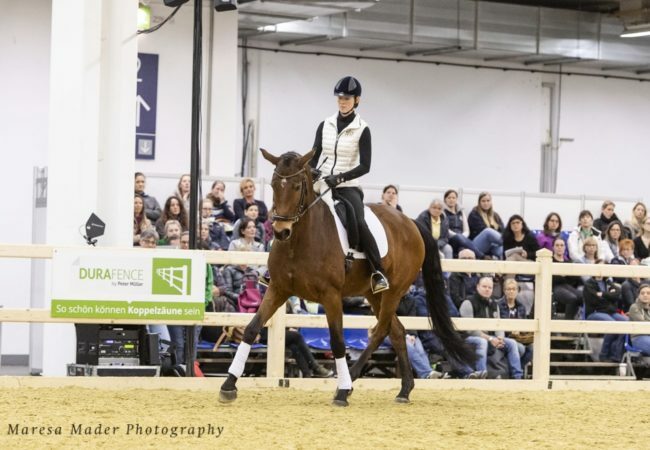 Today Amazing Grace presents herself expressively and quite relaxed also in difficult situations – such as at this seminar in the fully occupied state stud riding hall – with great trust to her rider Vera Munderloh. 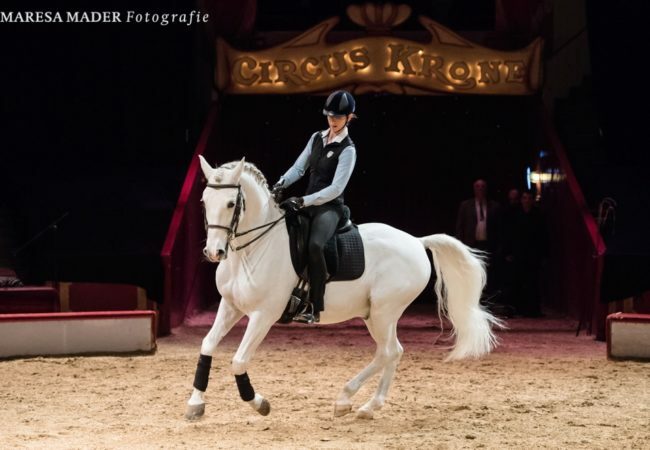 Amazing Grace shows already harmonious first piaffe and passage in addition to her very good gaits. The second horse Anja Beran presented was the Lusitano Bue; after a problematic past that left its traces not only emotionally, but also physically, he was rehabilitated to a happy, willing and above all healthy riding horse. 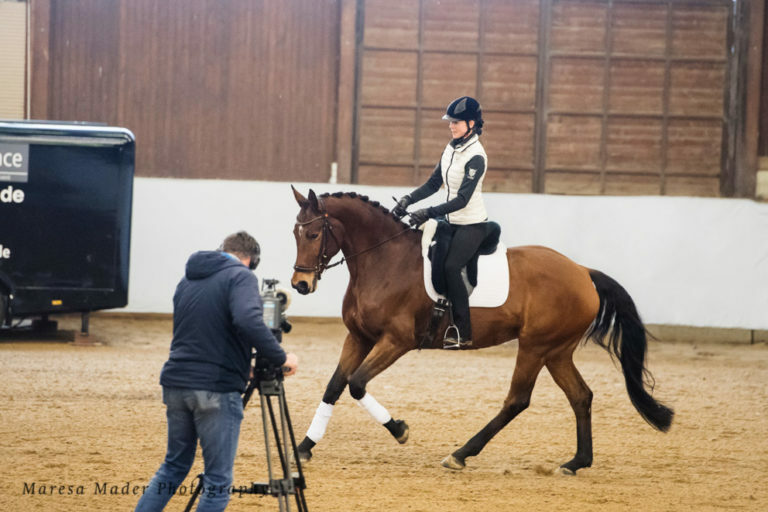 In the past Bue was ridden on a bare curb without proper basic training, which led to false muscle development, uncontrolled runaway episodes and finally lameness. 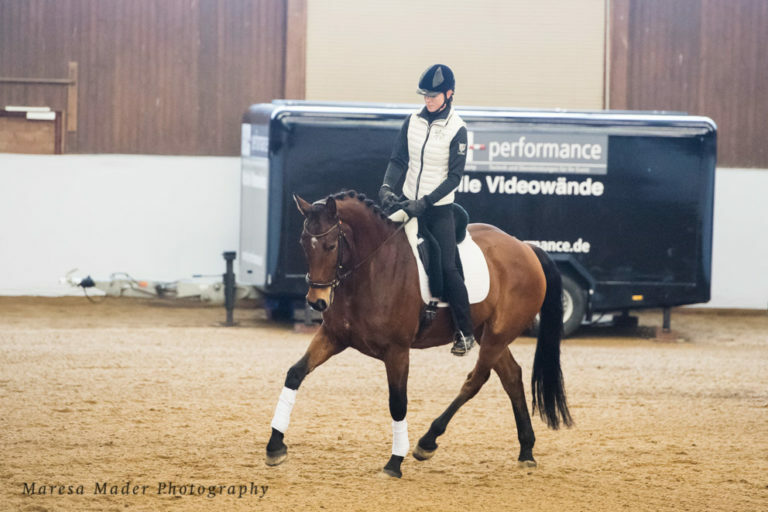 His owner Steffi Seebauer has been training with Anja Beran for several years by now, to enable the gelding, who always wants to please his rider, through proper gymnastics to physically being able to perform well. 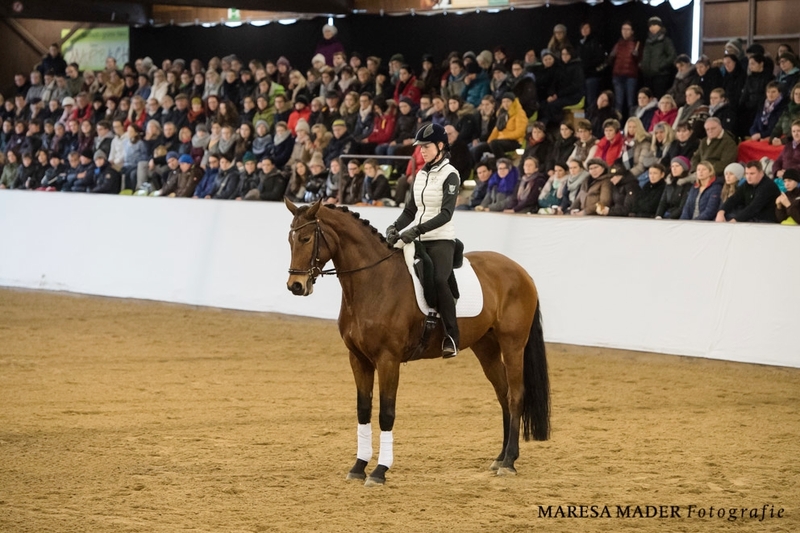 At the event, Bue impressively showed how much he appreciates “his” people, who show him the necessary patience and love, and seeks their closeness. Anyone who has missed this instructive seminar can follow the event online as a video on wehorse.com. 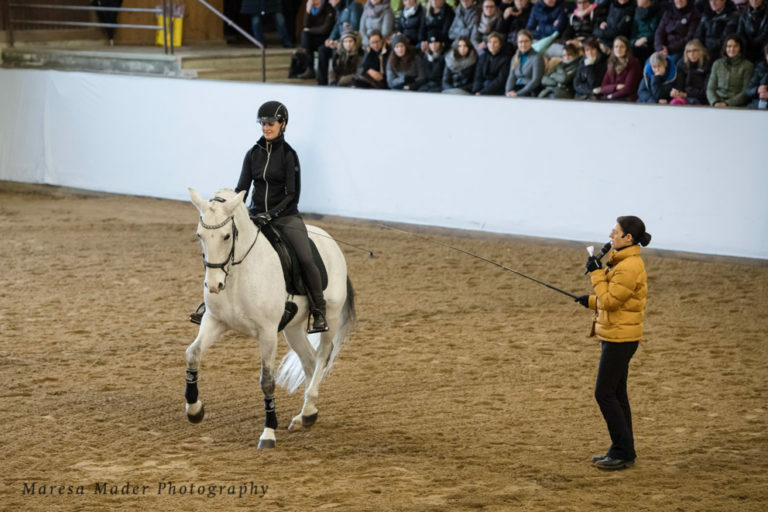 On wehorse there are also numerous other educational films and seminars by Anja Beran. 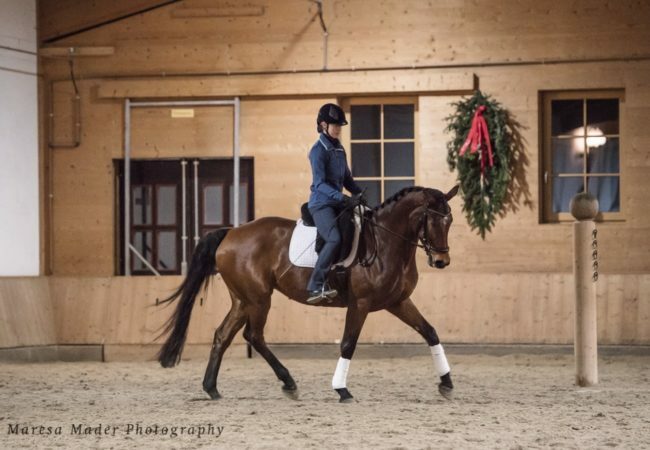 Click here to get to the instructor page of Anja Beran at wehorse.